This is the "Real Deal" for the stepped bottom 6 channelled Dragonfish Fireball.Why accept wannabee watered down imitations! Hold onto to your fake head weaves.. or put lots of sunscreen on that bald spot because this baby flies for those those who think that they can handle it!!! Channel fever is alive and well!! This is the RT-S1 Stealth model with a slight change up so to speak.I customized by adding four deep channels along with a 5-4-3 fin set up for one of my Japanese customers!This is gonna be a rocket..so hang on for the ride in the land of the rising sun!! The Sorcerer's Apprentice...walk on water!! 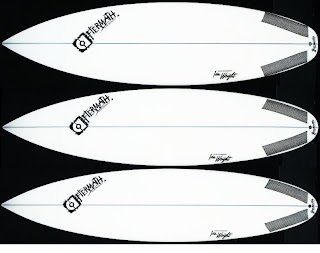 This is one gem of a hybrid shorty.It is true magic in the water.Designed to be ridden 3-4" shorter than normal ..this board will do everything and more.It could almost be the perfect all around board..but then that would be bad for business.If you've ever wanted/needed that one magic board in your quiver..then this is arguably THAT board!!!! Quiver of toyz for the ladies!! 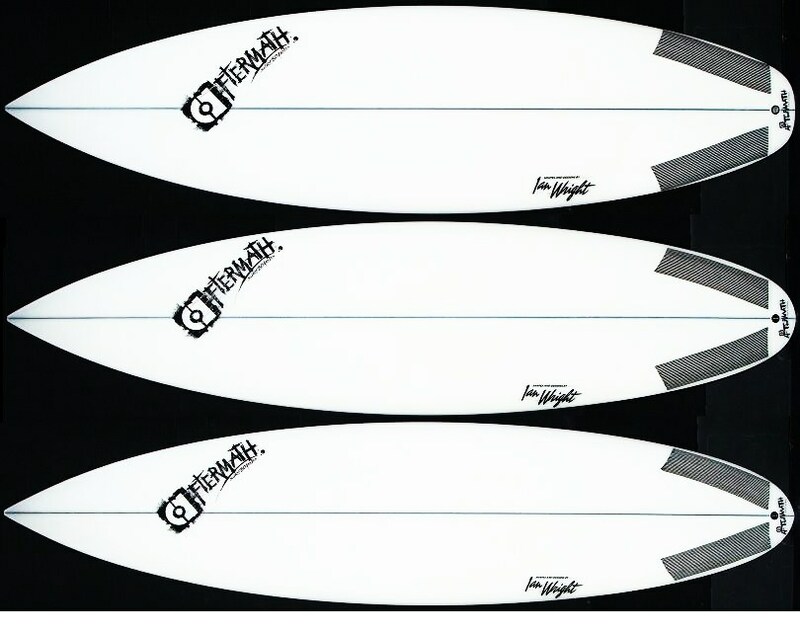 Quiver of freshies for the ladies who charge on the Aftermath label. Growing up in a small town..this was a HUGE deal for Frankie.Just watching him get to the level of his surfing was something amazing.He still continues to push his surfing limits..and i relish those days of being in the water at Greenpoint..just watching him free surf.